LEADER CNC TECHNOLOGIES CELEBRATES 20 YEARS IN BUSINESS! 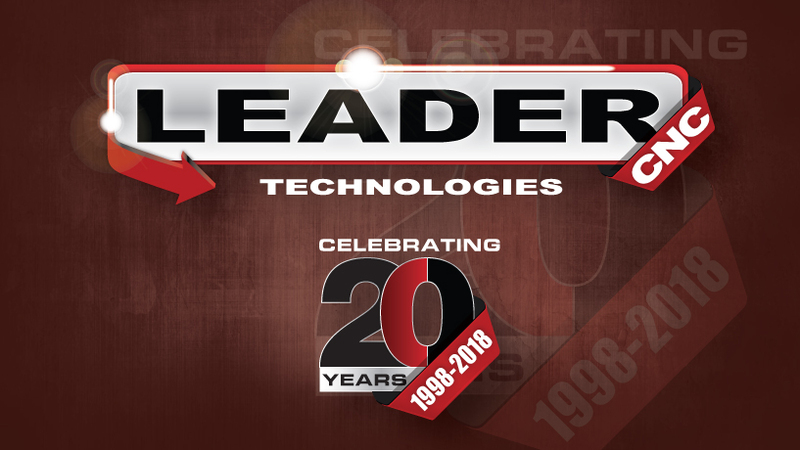 We are pleased to announce that, this January, Leader CNC Technologies Limited will be marking 20 years since its establishment. Our 20th Year anniversary marks an important milestone for the company as we look back on our incredible accomplishments. The company started operating on 28th February in 1998 with the Managing Director Rob Prosser and Technical Director Mark Eaves operating from Coventry, subsequently moving premises into the current offices and showroom in Nuneaton. The primary function in the early years was service engineering and support on a wide variety of CNC machine tools. This success was followed by expansion into machine tool sales, selecting only quality machine tool manufacturers to represent. Our aim and motto has always been ‘Moving Your Company Forward Into The Future’. Leader CNC Technologies is continually investing in skilled engineers and will continue to consolidate its long term business relations with valued customers as well as diverging into new markets. Leader CNC Technologies now offers a wide range of CNC machine tools, the Principals being Toshiba Machine, Kitamura, FFG DMC, FAT Haco and Gruppo Parpas. Leader CNC Technologies still continues to deliver a wide array of CNC services including applications, breakdown repairs, refurbishment, commissioning/decommissioning, spare parts, ball bar testing and maintenance contracts. Thank you to all our customers, our Principals and the Leader CNC Technologies Team.